When diagnosed with end-stage renal disease (ESRD), a form of permanent kidney failure, patients must undergo dialysis to replace the blood cleaning function of kidneys. Dialysis requires vascular access, a process where blood is removed, purified, and returned to the patient’s vasculature. Current methods for providing access, however, suffer from high failure rates. Combining CFD simulations with shape optimization techniques provides a way to better understand and predict such failure. Kidneys serve an important function in the body by helping to remove excess waste and fluid from the blood. When permanent kidney failure known as end-stage renal disease (ESRD) transpires, these organs stop functioning at a level that is necessary for day-to-day living. To replace the function of healthy kidneys, patients are kept on dialysis. This form of treatment involves transferring a patient’s blood through a machine that cleans the blood and then recirculates it back into the body. For dialysis to take place, vascular access is necessary. The most common method for providing vascular access is the arteriovenous fistula (AVF), a direct surgical connection between the arterial and venous sides of the vasculature that is performed in the arm. Another form of vascular access that is also growing in use is the brachiocephalic fistula (BCF), which involves joining the brachial artery with the cephalic vein near the elbow. 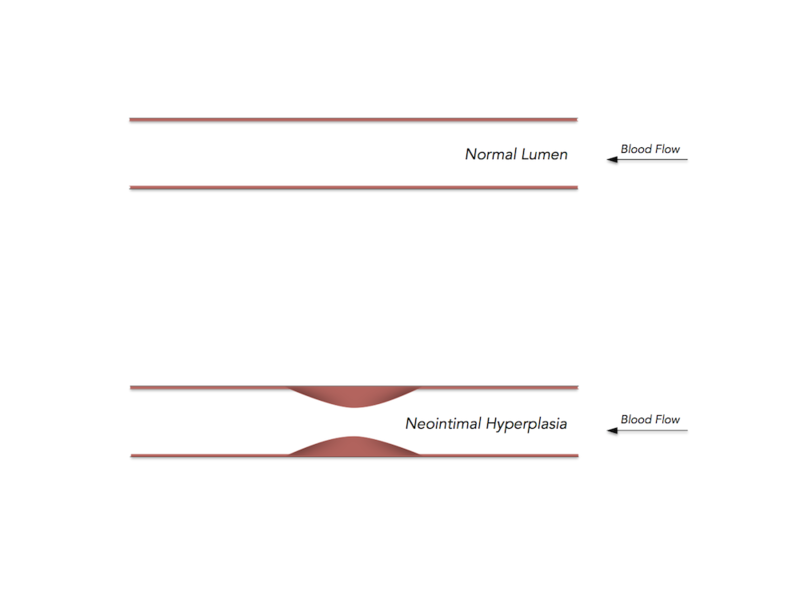 BCF often encounters high failure rates due to neointimal hyperplasia (NH) and eventual stenosis in the curved portion of the vein known as the cephalic arch. This is caused by dramatic increases in blood flow rates through the cephalic vein following fistula creation — rates that are an order of magnitude higher than normal physiological levels. The onset of NH is an attempt by the cephalic vein to alter its shape in order to mitigate the effects of the higher blood flow rate after the fistula is placed. NH is, in particular, a physiological response to the low wall shear stresses (WSS) that happen locally within the curved portion of the cephalic vein due to the occurrence of recirculation regions. However, unable to adapt to the extreme hemodynamic conditions, stenosis commonly occurs. Stenosis can lead to thrombosis and/or the inability for the BCF to provide sufficient access for continued dialysis. Top: A healthy vessel wall. Bottom: A vessel wall with NH. 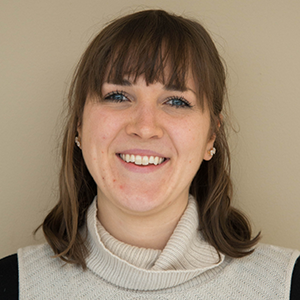 In order to investigate the mechanisms behind BCF failure and develop methods to improve clinical outcomes, mechanical engineers from the Illinois Institute of Technology are collaborating with clinicians at the University of Chicago Medical Center. Patient-specific data is obtained clinically, with correlating geometric and CFD models developed in COMSOL Multiphysics. At various intervals following vascular access surgery, the team records and processes the venous deformation and hemodynamics for each of the over 100 individual patients. The CFD results provide detailed patient-specific hemodynamic data that is used to explain the impact of the high flow rates through the cephalic arch, with particular attention paid to the onset of WSS regions that are below normal physiological values. The team couples shape optimization with the CFD Module to test the hypothesis that low WSS leads to geometric changes via NH and stenosis. Such an approach also allows them to avoid having to implement a first-principles model of the underlying biochemical factors that enable such processes. The objective is to determine the vessel shape that comes closest to bringing the WSS values throughout the cephalic vein back within the normal physiological range, thereby mimicking the body’s attempt to do so through NH. The figure below depicts the CFD results for a particular patient, where the vessel wall regions marked in red are those for which the WSS is below the normal physiological range, therefore susceptible to NH. Simulation results for an actual patient-specific flow field after vascular access surgery. The interval shown here is 12 months post surgery. A streamfunction plot superimposed on low WSS distribution. 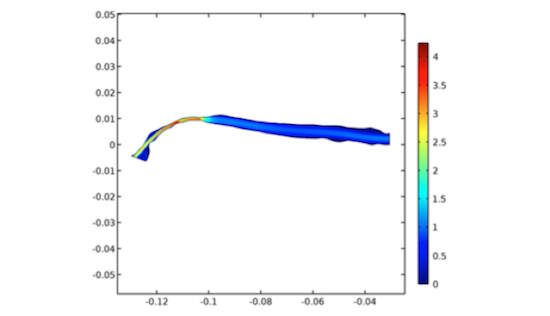 Further, the researchers are coupling BOBYQA, a gradient-free optimization method in COMSOL Multiphysics, with the CFD Module to evolve the shape of the vessel in such a way that would redistribute the WSS along the walls and readjust the blood flow rate back to a normal physiological range. Through this coupling, they are seeking to predict the evolution of the shape of the cephalic vein for patient-specific geometries, focusing on the end result. When compared to clinical data, their results have proven to be accurate in their predictions of both favorable and unfavorable adaptions of the vein. This proves that, from a topographical point of view, optimization of the shape of the vessel can capture the deformations of the vasculature that are driven by hemodynamic factors when the right cost functions and constraints are considered. A coupled CFD and shape optimization prediction. An actual failed vascular access matching the results of the patient-specific prediction. The stenotic deformation in the arch section of the vein is evident for this patient. The research findings, which were presented at the VI International Conference on Computational Bioengineering and the 68th American Physical Society Annual Division of Fluid Dynamics meeting last fall, have helped to create a framework for forecasting vascular access failure and making patient-specific decisions. It offers new potential in modifying current vascular access techniques to enhance their functionality and, in that process, can also increase the life expectancy for ESRD patients. Editor’s note on 10/26/16: Javid Mahmoudzadeh, a member of the research team, led a talk on this simulation research at an event this past August. You can watch his presentation here. Our Application Gallery features a number of CFD tutorials designed to inspire and guide you in your own modeling processes. You can browse them here.